When I first began to seriously get into wine I decided to buy myself a set of proper wine glasses. Up until that point, I had been using my mother’s wine goblets, which were too shallow to allow for acceptable swirling, and I was determined to drink in style. In my just-old-enough-for-drinking days, I naively thought there were only three types of wine glasses: red, white and sparkling, but quickly found out just how wrong I was. Pinot Noir glasses had a very different shape from Cabernet and Chardonnay glasses were different from Riesling. Then there were glasses for wines I couldn’t even pronounce, let alone tell if they were red or white varietals. I was so overwhelmed by the amount of available glass options that in the end I just bought a universal set from my local Target and wrote off specialty glasses as a frivolous luxury. It wasn’t until I took advanced sensory analysis at Cal Poly that I truly understood and appreciated the function of wine glasses. A properly chosen wine glass does not only significantly enhance a tasting experience, it can also mitigate undesirable sensory qualities. 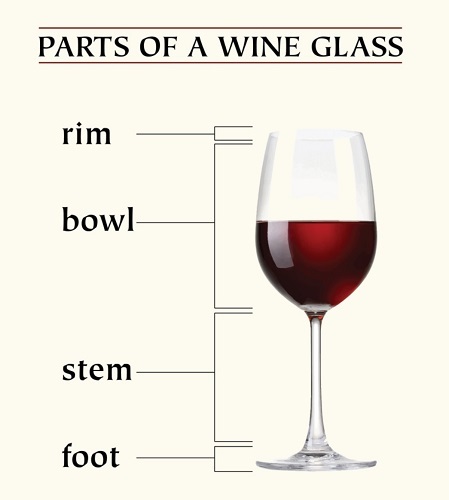 So what makes a specialty wine glass different from the universal sets? And how are they superior? 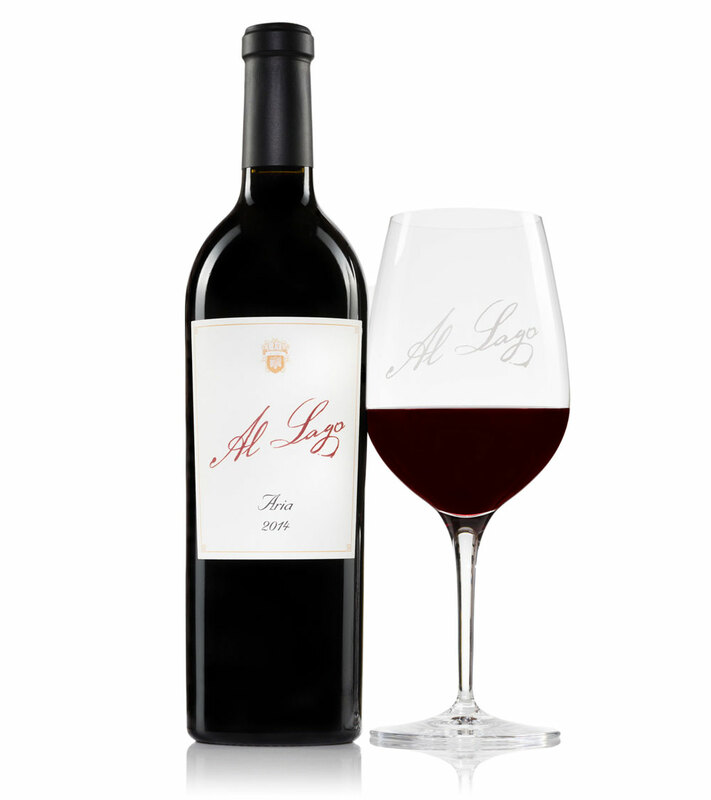 It all comes down to the ratio between the maximum diameter (the widest point in the glass) and the opening diameter. The goal of a wine glass is to encourage aroma compounds to mix with the air in the glass (the experts will call that "volatizing" -- a good phrase for your next party) by exposing as much surface area of the wine as is desired for that varietal or style. This is why many wine enthusiasts won't fill a wine glass past the widest point. The opening of the glass dictates the concentration of aroma that becomes "trapped" in the empty space between the surface of the wine and the opening of the glass -- known as the "glass head space". You want to be able to fit your nose in the glass but not have an opening so wide that all the aroma compounds leave the glass before you do. For those of you who have visited us at the Paso Robles tasting room, you'll notice we pour the Pinot Noir in a wider glass than the one for the Sonata and Aria blends. This is because Pinot Noir glasses are designed to maximize the ratio between the maximum diameter of the glass and the top of the glass. Pinot Noir is not particularly aromatic and thus more surface area is exposed, in order to allow you to capture all of its nuances. In contrast, the glasses used for some particular "reds" encourage "volatilization" to dial back some of the more overpowering qualities. 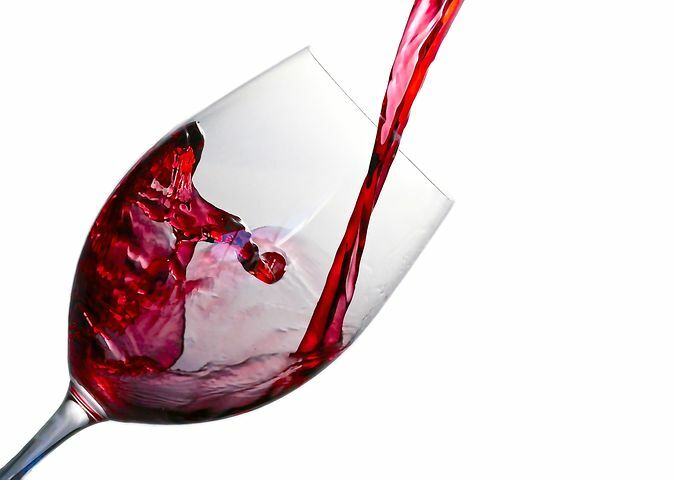 Bolder reds like Cabernet or Syrah typically have a higher alcohol level and require a taller head space in the glass so that escaping ethanol is not the only thing you will smell. Black pepper is a signature aroma to Syrah while spicy, roasted pepper is typical of Bordeaux varietals (Cabernet Sauvignon, Merlot, Cabernet Franc), and while they are desirable in most cases, too much of either of them will overpower the fruit aromas, which are necessary to balance the bitterness in these tannic wines. The optimal glass is designed in such a way as to allow the proper evaluation of fruit characteristics by reigning in on their peppery qualities. Sparkling wines are served in flutes in order to preserve the carbonation in these delicate wines. Since you don't traditionally "swirl" a sparking wine, the slender glasses are used, which expose very little of the wine surface and conserve the vibrant qualities in the wine. If you're anything like me, you'll be very tempted to buy a myriad of specialty glasses in order to fully experience any style of wine you come across, but it's probably not necessary. Everyone should have a universal set for a casual glass of red or white. The only specialty glass that you're likely to need is a flute for champagne and sparkling. My husband and I have a few pairs of specialty glasses for wines we drink a lot as well as for those special wines we collect. Pinot Noir glasses are also a popular choice for a first purchase of style-specific wines, as they noticeably enhance the tasting experience. Just remember that wine is meant to be enjoyed and truly great wines will stand out no matter what glass you pour them in. Drop me an email (samantha@vinoallago.com) if I can help you with any recommendations or questions. Cheers!